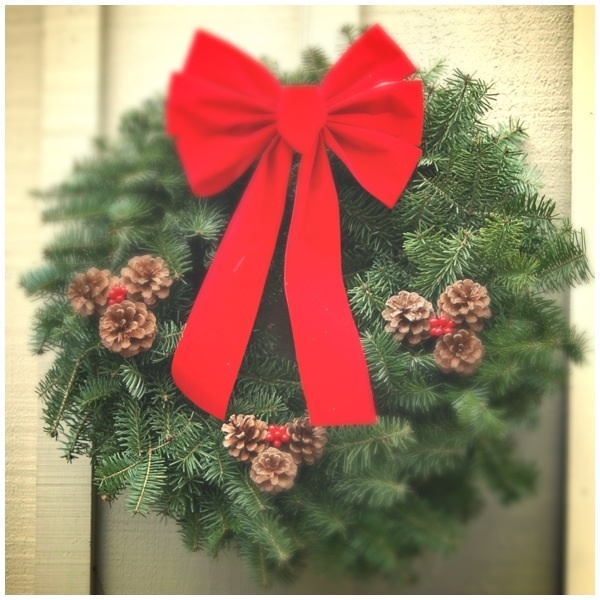 ‘Tis the season. Days are shorter and nights are longer. The weather is colder and the trees have shivered off all their leaves. People are bustling here and there, gathering their goods for the upcoming holidays. Everywhere you look there signs of winter, it’s lovely and wonderful, until you hear it. It’s a sound that as unique as the individual it belongs to, but as familiar as your childhood home. It’s a sound that any parent can recognize when issued over a mile a way. It’s a sound that can make a grown man shudder. It’s the sound of the first sniffle. 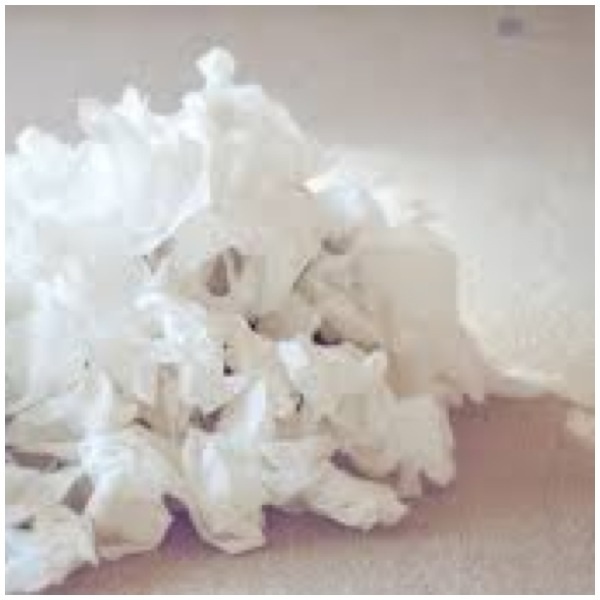 That wretched little sniffle is followed by more and more until finally the quantity of ooze that’s escaping your child’s nose can’t be ignore any longer. The reality of a winter cold is no longer deniable and the sniffle is no longer just a little noise, it’s a problem. A problem that may be accompanied with a cough, a fever, a grumpy child and will probably be followed by everyone else in the household developing a “sniffle” too. The problem with this little sniffle is that little babies and toddlers haven’t mastered the art of blowing their itty bitty snot filled noses into a tissue, and it falls onto your shoulder to clear their nasal passageways not only for comfort, but so they can breathe (that last bit is really important). There are a variety of tools that can be used to perform this task, however, I will only be discussing one today. Anyone who masters the use of a bulb syringe can be likened to a master Jedi. This task could be compared to wrestling an alligator, if done incorrectly one could lose a finger (the probability is pretty low, but I’m sure there is still a risk). Your technique and timing must be perfect and the element of surprise is incredibly beneficial. The less your child knows, the better…. Now my husband and I have tried a variety of approaches; the two man, the under the leg, the football hold and the pretzel. 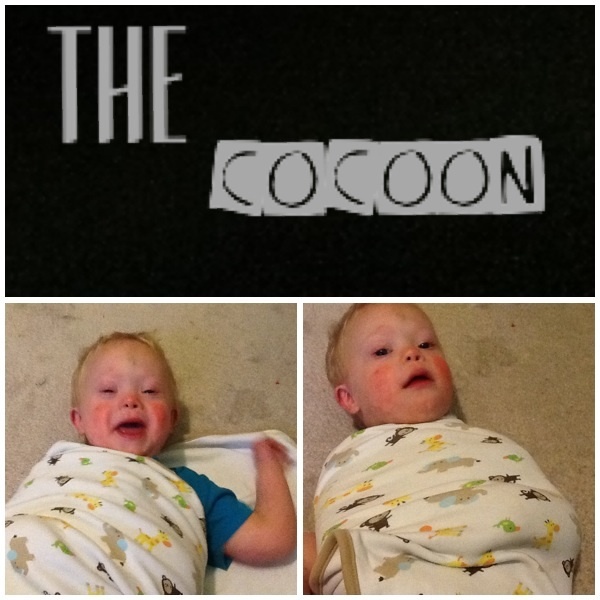 None had proven effective, until we tried the COCOON. The ease with which the copious amounts of goo was able to be removed from my sons nose left me awe struck. It is so easy, that I had to share it. Lay blanket flat and place child in the middle of it. Wrap one side of the blanket across child and tuck under (make sure the arm is tucked in). Wrap the other side across and secure it under the now swaddled child. Both of the arms should be tucked inside (now those grabby little hands can’t “help”). 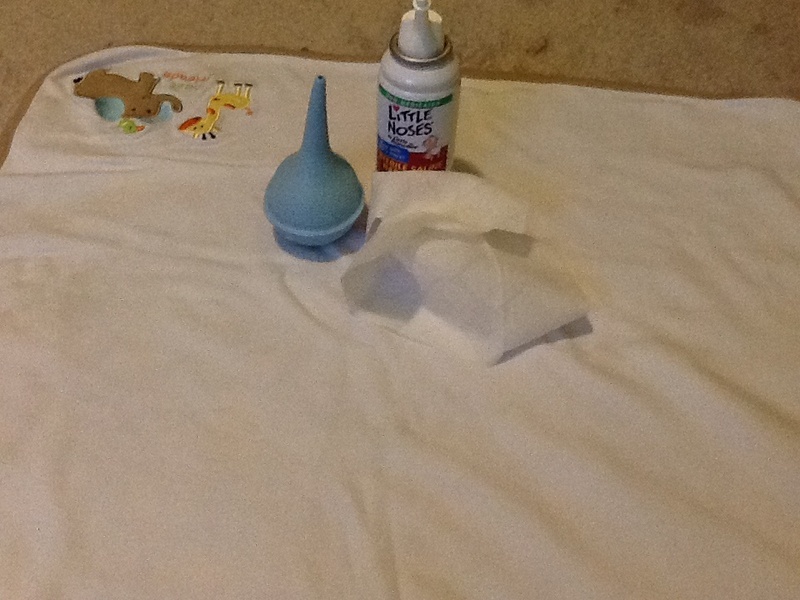 Drop a couple drops of saline in each nostril, use bulb syringe on each side to pull out the yuck, and voila! Clean nose, happy baby, hand with all it’s fingers.